Moving is one of the most expensive periods of a person’s life. You have to plan everything accordingly to save money. One of those things is knowing how to prepare your fridge for moving. Since you will most likely pack your fridge last, you need to plan. Moreover, refrigerators are expensive, and you can damage them easily during a move. That is why it is important that you know how to properly protect it. If you do so, you will save money on repairing or even replacing it. Here is a guide on how to prepare your fridge for moving. You should also know that you will need at least two people to do the job safely and without any injuries. There are many reasons to hire professional movers, and safety is one of the major ones. If you decide not to hire professionals, make sure to ask a friend or a family member for help. It is always a good idea to hire a local moving company. 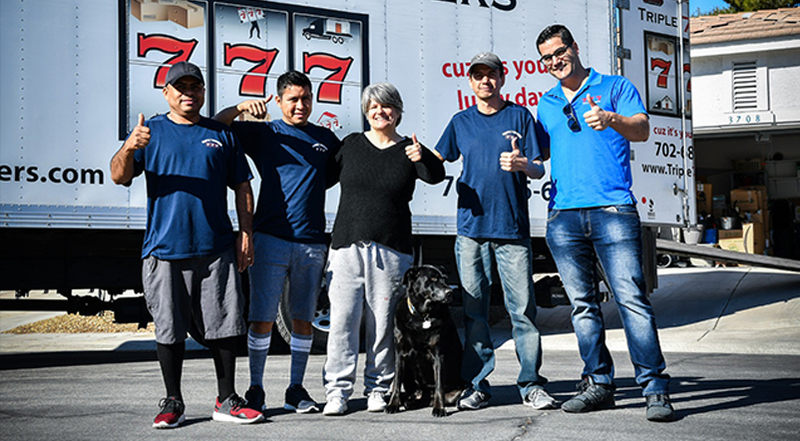 If you live in the Las Vegas area, you can hire local Las Vegas movers, which are reputable and reliable. Once you’ve gathered all the supplies, it’s time to defrost your fridge. You should do this at least two days before you plan to move. First of all, safely unplug your fridge, following the manual. Next, place rags or towels under the fridge to soak up the water. Once the fridge has defrosted, you can clean it thoroughly. Remove all shelves and trays from the fridge. Use water and mild soap to clean both the inside and the outside. Scrub the shelves and ice trays with a dish towel. Finally, make sure to leave the door open for at least a day, to prevent mildew from gathering. Your fridge will last longer if you’re clean it before the move. After you have cleaned the fridge, take all the shelves and trays from the inside and pack them separately. For packing materials, you can use blankets or bubble wrap. You can even use old newspapers as added insulation. Place them in moving boxes and keep them close to the fridge. Additionally, clearly label all the boxes. This way, you won’t have to look for the shelves when you unpack your fridge in your new home. Finally, make sure that you close the fridge door and keep it secure. You can use heavy-duty duct tape for this, or a regular rope, and go around the fridge a couple of times. When you hire a moving company, you want to make sure that your possessions are handled with care. Contact our NV movers for the best movers with experience. When the fridge is clean and ready to go, this is where the grunt work begins. Before you start to move the fridge onto the moving truck, measure the doorways and halls of your home. Note down the height and width of your fridge as well as of the doors and hallways. You don’t want any unpleasant surprises when you realize that the dolly can’t fit through your hallways. Keep a measuring tape and a notepad on hand before you move your fridge. If you find that you need to remove any doors to fit the dolly, do so in time. Moreover, check if you can detach any stair railings that are in the way. Finally, de-clutter the furniture that prevents you from having a clear path with the fridge. Even though most fridges have wheels underneath, you can use furniture sliders to make the job easier. When you slide it out of place, try to move it from side to side as you pull it forward towards you. After that, you will need to ask for help from someone else. Slowly and carefully lift the fridge while the other person slides the dolly under one side of it. Never place the fridge on the dolly front or back first. If your dolly has straps, tighten them around the fridge to keep it secure. Hire professional help if you aren’t up for the job. When you are taking the fridge out of your home, be careful if you have to go down any steps. While you might think it would be best to push it down, you should pull it instead. Take one action at a time and go as slow as you need to control the dolly. Additionally, if you are going up a flight of stairs, have one person on the bottom pushing slowly while you are pulling it up. Moreover, you should not try to lift the fridge onto the truck. Try using a plank or a platform. Many moving companies offer one with the use of their truck. Once it is on the truck, don’t lay the fridge on its side. Instead, try to keep it upright and on the dolly. If need be, add more straps to the sides and the top of the fridge. Take extra caution if you are packing and moving your fridge by yourself. You should know what goes into packing fragile items. Pack the fridge and its shelves properly so that they don’t move and break on the moving truck. After you arrive at your new home, have the fridge stable for a few hours before you plug it in. It’s good to keep it stable and upright for a while so that it can stabilize and work properly. Furthermore, don’t put food inside right after plugging it in. Consult your user’s manual to check the recommended time. It usually ranges from 24 to 72 hours. Additionally, leave the door open until you plug it in. It can help with the odors that have gathered inside the fridge during the move.